Mrs. Viola (Noel) Tungate of Campbellsville, daughter of the late Ruel and Genevieve (Hendrickson) Noel passed away peacefully on Wednesday, February 13, 2019 at 1:15 AM at the Sunrise Manor Nursing Home in Hodgenville. Born in Casey County on March 15, 1927, she was 91 years, 10 months, and 29 days of age. 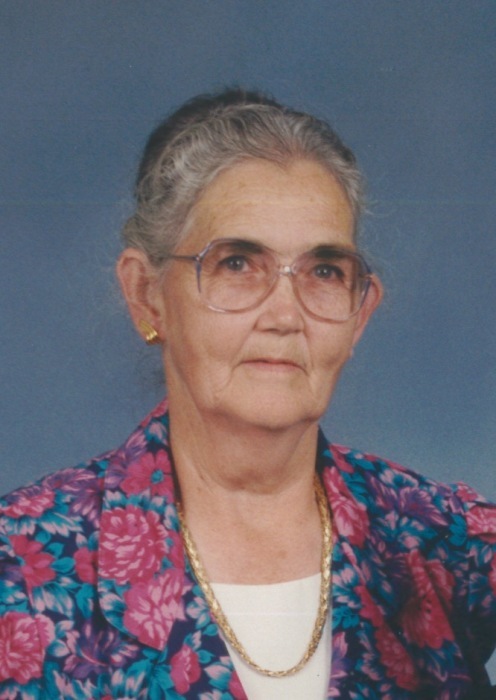 She had made a profession of faith in Christ and was a member of Farmer’s Chapel Church of God. Mrs. Tungate had begun quilting at the age of 9, and made several beautiful heirlooms. She kept a strong work ethic all her life, and retired as a cook for the Rosary Hospital and Medco Nursing Home. On November 28, 1945 she married the love of her life, Mr. Buford Thomas Tungate. They remained devoted to each other until his death in 1999. She was also preceded in death by three brothers, Gene Noel, Raymond Noel, and Wilbur Noel; and a sister, Mildred Myers. There will be a funeral service to honor the life of Mrs. Tungate on Friday, February 15, 2019 at 1:00 PM in the chapel of the L.R. Petty Funeral Home. She will be laid to rest beside her husband in the Brookside Cemetery immediately after the service. Dr. Colin McDaniel and Bro. Robert Boston will be officiating. The family will receive friends at the funeral home on Thursday, February 14, from 5:00-8:00 PM.